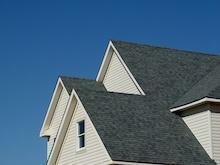 Is it Time to Turn to Our Residential Roofers? Based on the type of roof you have, recent weather patterns, and other factors, there are a number of problems that your roof may encounter. However, you can depend on J M K Contracting LLC to have the solution for every roofing issue. Call our company for major and minor residential roofing repair in Smithton, PA.
Our full-service roofing company is ready to provide you with a quote on your next roofing project. Given the important job your roof does for your home, it’s imperative that it receives the necessary repairs and maintenance. With our superior workmanship and commitment to customer satisfaction, we’ll make sure your roof is in peak working order so that your property stays protected. Our trusted roofing service gives you the excellent results you want at a cost-effective price. It’s no secret that a strong roof is an essential part of a safe home. Trust us with all your residential roofing needs and enjoy the peace of mind that comes from knowing your roof is in capable hands. Contact us for professional home roof repair. We proudly serve customers in Smithton, PA.